Meditation is becoming one of the fastest growing activities in the western world. Historically, meditation was seen by many as connected with eastern religions such as Buddhism. The introduction of the concept of mindfulness is a secular form of meditation that focuses on the psychological benefits that comes from calming the mind and focusing your attention on the present. The main reason why mindfulness meditation has become popular is because scientists have been undertaking research that confirms the biological and psychological benefits of meditation. These benefits are available across the lifespan amongst a wide variety of demographics. Most meditation practices have a similar goal but may use a slightly different path to achieve the same focus on attention. One of the most popular amongst those who are beginning meditation is guided meditation. In this blog posts, we’ll be focusing on guided meditation. Guided meditation is delivered by a trained practitioner or teacher who guides you through a meditation practice using text, audio, video or a combination of all. The teacher guides you through a process of mental imagery to stimulate the senses of sight, sound, taste, small and touch. Guided meditations are not lectures to simply provide information. Instead they are delivered with a more direct connection to your personal experiences, feeling and emotions as they talk you through the session. Guided meditation is an excellent method to use as a beginner to meditation. Meditation can often feel like a frustrating endeavour to beginners who attempt to achieve a non-thinking meditative state. By using guided meditation, the beginner is helped through the process of understanding the many facets of undertaking meditation and how this affects your thinking process during the session. Guided meditations from trained practitioners are most useful by providing a central focus for you to listen to while you explore your thoughts and feelings through mental imagery. Guided meditations can focus on cognitive issues around specific topics such as confidence, self esteem, forgiveness, relationships and many other stages of personal development. A guided meditation session can also solely focus on creating a state of relaxation through becoming aware of physical sensations. Based on both of these approaches, meditation is viewed as a positive influence on both cognitive and physical domains. INTENTION: Set your intention for your meditation practice. Set aside time and space for your meditation session. EMOTIONS: Pay attention to the emotional feelings that may arise during your meditation sessions. Question uncomfortable feelings as a method to explore emotional issues. If you are just beginning a meditation practice, you can start meditation for as little as 5 minutes and increase your meditation sessions as you learn more about the practice of meditation. Meditation is like any other skill that you are trying to acquire – the more you practice, the easier it gets. Below are 10 guided meditations to get your started. These meditations can be played on your computer, phone or tablet. 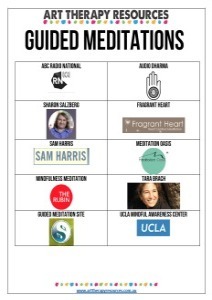 A number of the above meditations are also available in regular podcasts. To learn more about podcasts, you can read our recent blog post on Productivity Podcasts where you can learn about podcast apps that are available. 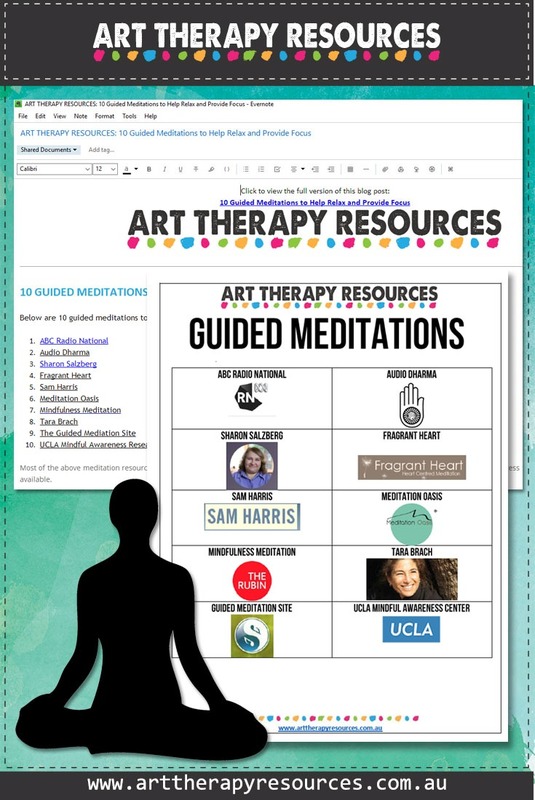 You can also access this summary of Guided Meditations via this Evernote document. You can save this note to your own Evernote. You can view the Evernote document even if you do not use Evernote.